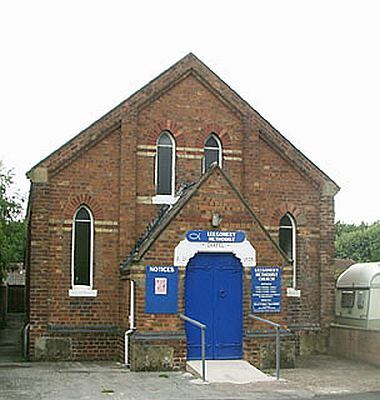 This chapel was built in 1878, tenders being invited by the architect William E. Keys of Manchester in August of that year. The foundation stones were laid on Monday 11th November 1878. The builder of the chapel was Mr Lucas. The chapel was still in use in 2017, having been refurbished in 2010-2012. A large extension was built at the rear in 1953, the stone-laying ceremony taking place on 26 September. There is no burial ground attached. The denominational inscription is carved in the lintel over the porch door, now partly obscured.